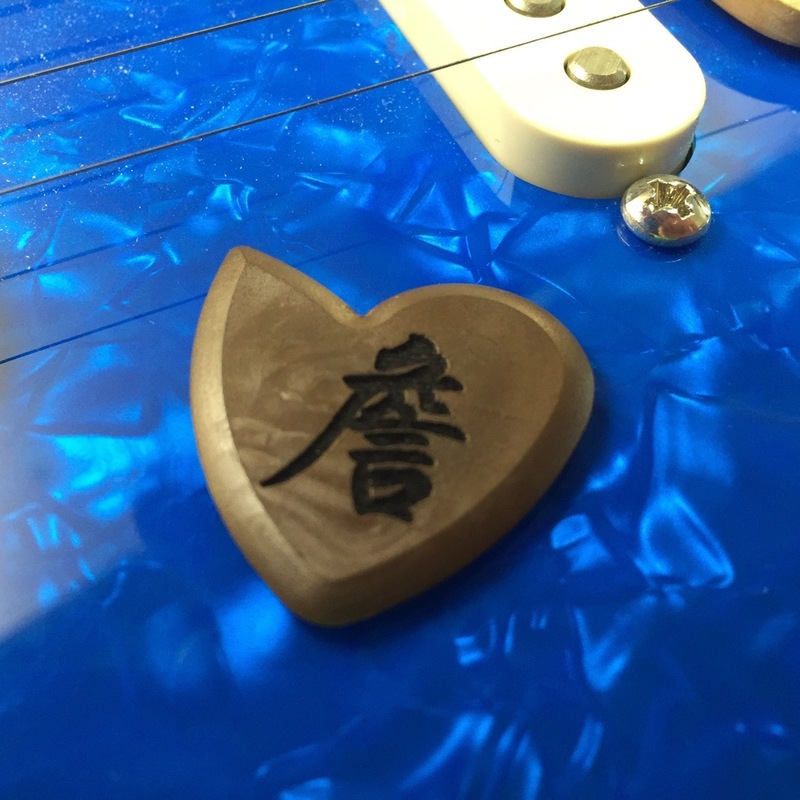 The greatest plectrum in the world, Dragon's Heart Guitar Picks, customized with text or an image selected by you. A lot of people have asked and we have finally done it. 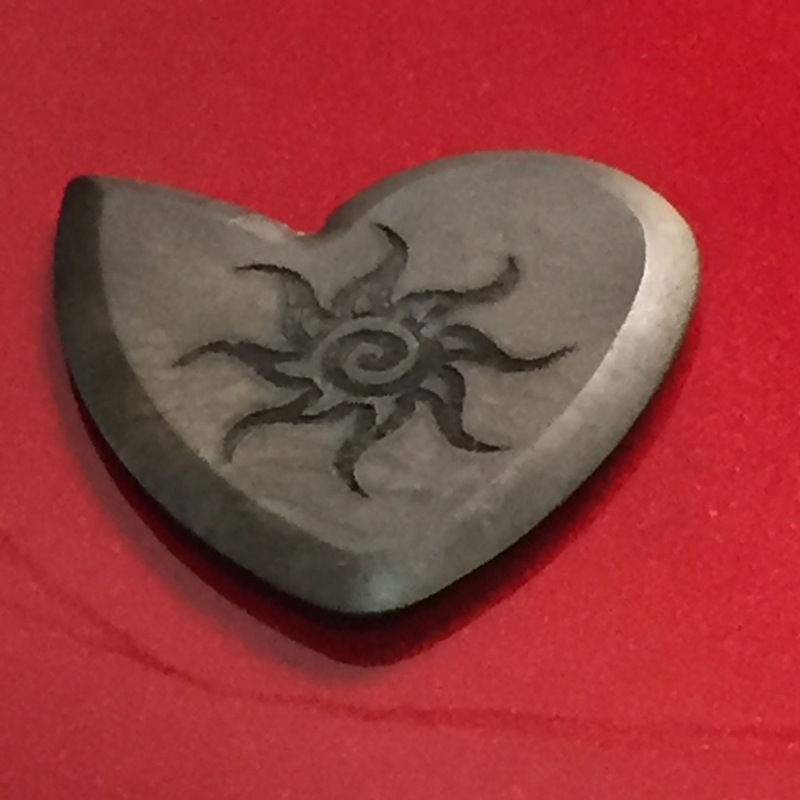 Now you can get your Dragon's Heart Guitar Picks laser engraved. 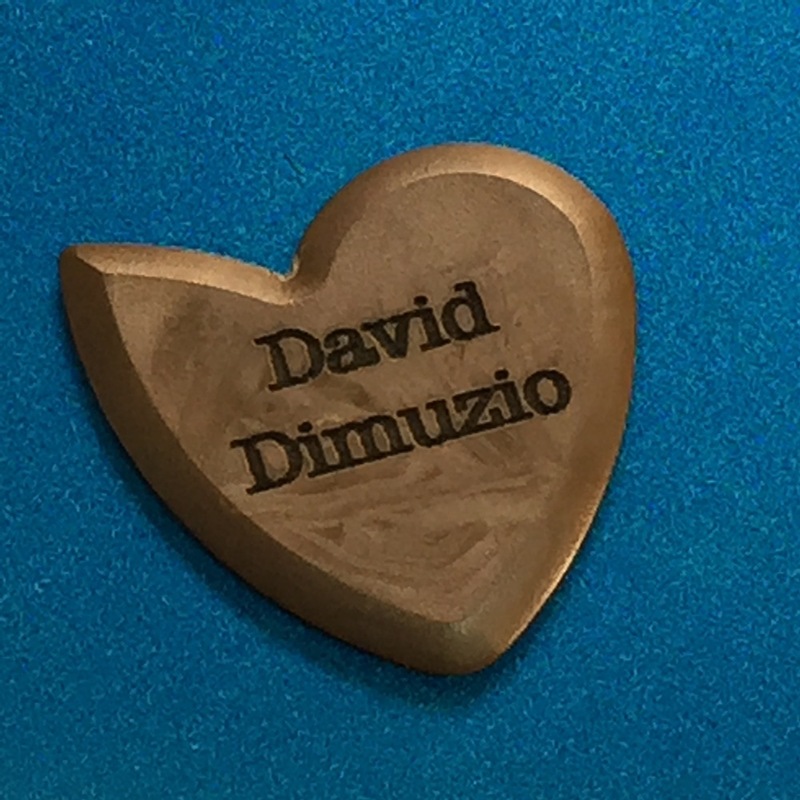 Make a personalized guitar pick with any design you want. Ordering is quick and easy, just follow the steps on our form and then check out with PayPal. Click the image to browse through our sample photos. We will add new photos as time goes on. 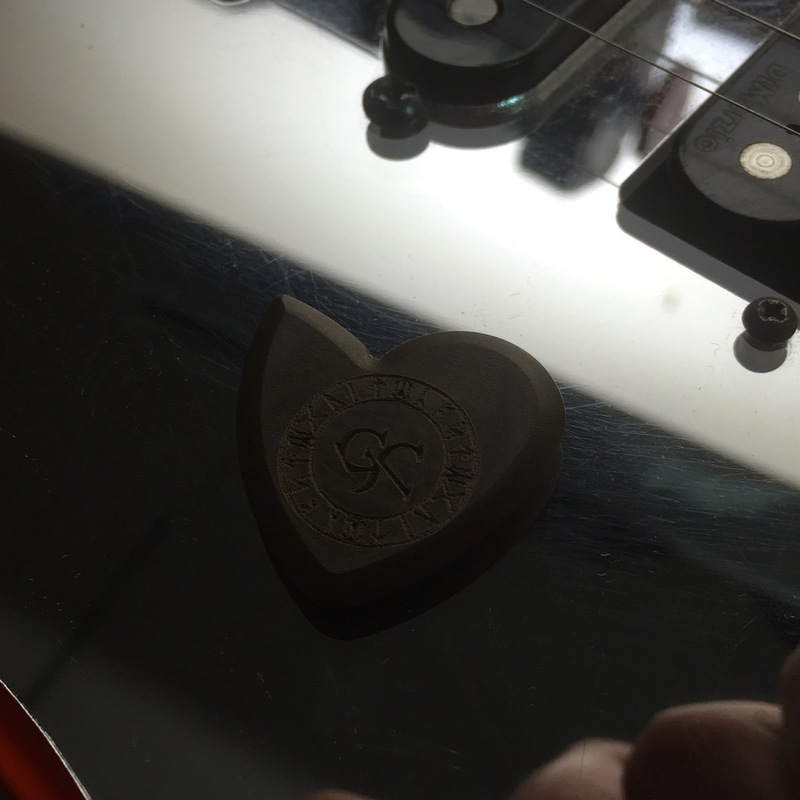 Your engraved guitar picks could be featured here too if you want us to share yours with the world. We did our best to make sure the ordering process was a quick and as easy as possible. Please fill out the form below and follow the instructions where necessary and we'll do the hard stuff. 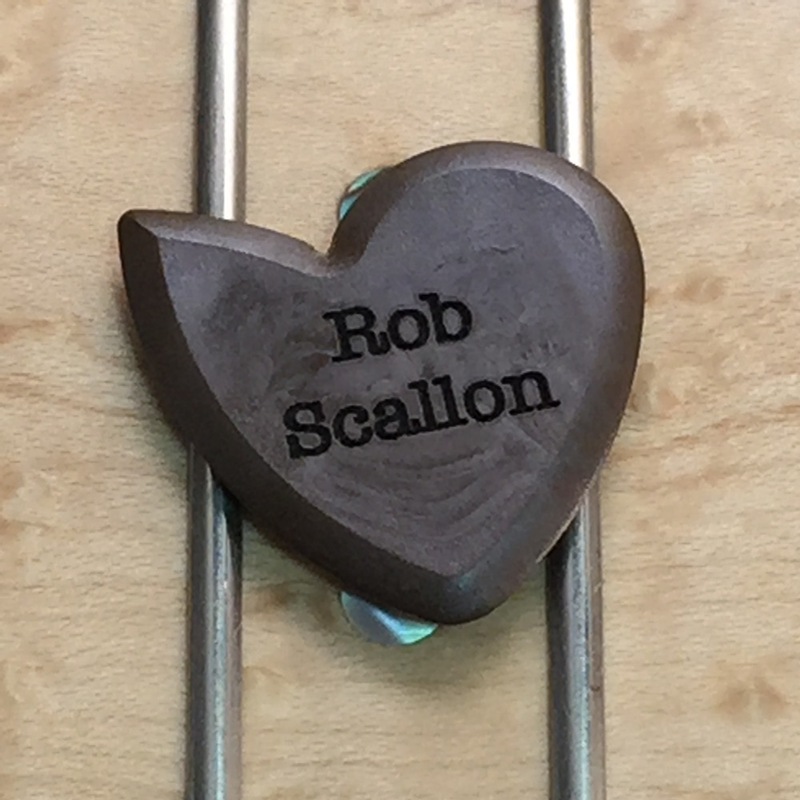 Pricing listed on the form is for the pick and the engraving. 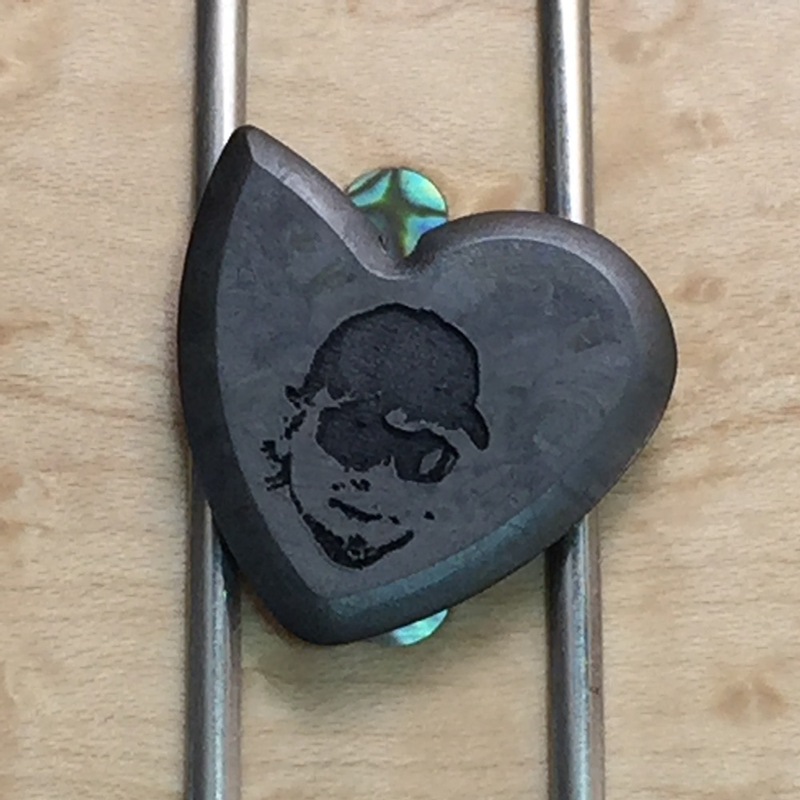 Once complete, your custom guitar picks will be created & on their way to you in no time! 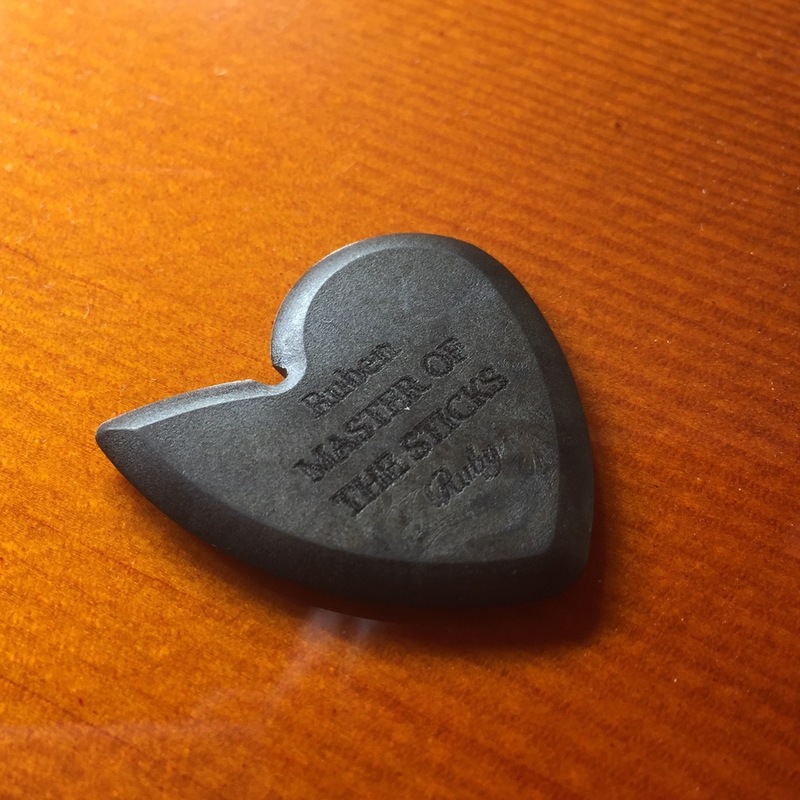 All picks have our Dragon logo on the other side.